In her masterful nonfiction work, Nagasaki: Life After Nuclear War (Viking, 2015) Susan Southard ’78 takes readers from the morning of the atomic bombing of Nagasaki, Japan, on August 9, 1945, to today, recounting the first-hand experiences of five survivors, all of whom were teenagers at the time of the devastation. My connection with nuclear survival goes back to high school when I was living in Japan as an international scholarship student—placed with a traditional Japanese family. I was 16 then, and had virtually no understanding of the United States’ 1945 atomic bombings of Hiroshima and Nagasaki. That year, however, I traveled to Nagasaki as part of my high school’s senior class trip to southern Japan. Inside the Nagasaki Atomic Bomb Museum, I stood arm in arm with friends who had embraced me as their own, staring at photographs of burned adults and children and the crushed and melted household items on display. In one glass case, a helmet still had the charred flesh of a person’s scalp stuck inside. My haunting memories were reignited in 1986, when I served as an interpreter for Nagasaki survivor Taniguchi Sumiteru when he was in Washington, D.C., as part of a U.S. speaking tour. Taniguchi was 16 at the time of the bombing, a small boy whose feet barely touched the pedals of his bicycle as he rode through the city delivering mail. He was just over a mile away from the atomic blast when a burning wind rushed toward him from behind, propelled him into the air, and slammed him facedown on the road. “The earth was shaking so hard that I hung on as hard as I could so I wouldn’t get blown away again,” he remembered. Taniguchi clung to the searing pavement near his mangled bicycle, not yet realizing that his back was burned off. Over two days, I spent many hours with 57-year-old Taniguchi, listening to his story in public presentations and private conversations. He spoke quietly, the syllables toppling one upon another. Standing before his American audiences, Taniguchi’s dark suits hid the scars that covered his body. I was utterly spellbound by Taniguchi’s story, and I longed to more fully understand what it took for him and others to live day by day in the face of acute physical pain, psychological trauma, and a personal history split in half by nuclear war. I struggled to understand how I—who had lived in Japan and had been educated in excellent public high schools and universities in the United States—had no specific knowledge about the survivors of the atomic bombings. The following year, I traveled to Nagasaki and Hiroshima to visit Taniguchi and meet other hibakusha (“atomic bomb-affected people”). Their stories were unforgettable, and these encounters ultimately led to the project that would become my book. I spent 12 years researching and interviewing hibakusha, including Taniguchi. I remember the first time I set eyes on Do-oh Mineko, then in her 70s: She stood at the opposite end of a conference room with such presence that she took my breath away. Fifteen at the time of the bomb, Do-oh eventually recovered from the horrific acute radiation symptoms that plagued thousands of men, women, and children, but she remained secluded in her home for nearly 10 years before her hair grew back. When she reemerged, D-oh spent the rest of her life proving to herself, in remarkable ways, that she could triumph over the bomb. Yoshida Katsuji, 13 at the time of the bomb, was also in his 70s when I first met him. He was well-known for his humor and kindness despite the fact that his face remained severely disfigured from the heat of the atomic blast 60 years earlier. I also interviewed atomic bomb historians, physicians, and specialists to reconstruct the days, months, and years after the bombing, including Dr. Tomonaga Masao, director of the Nagasaki Atomic Bomb Hospital, and Fukahori Yoshitoshi and Uchida Tsukasa, men who spent much of their adult lives collecting photographs of pre- and post-bombed Nagasaki and remapping their lost neighborhoods so that the people who had died there would not be forgotten. One of the hardest aspects of this project was reliving the survivors’ experiences again and again as I interviewed them multiple times, translated their interviews, essays, speeches, and letters, and drafted and redrafted the narrative. At every turn, I was challenged to find ways to capture their stories, both epic and intimate, as they navigated an uncertain future with punishing injuries, acute and late-onset radiation-related illnesses, haunting fears that they would pass on genetic disorders to their children and grandchildren, and worldwide invisibility due in large part to U.S. policies that denied, censored, distorted, and hid their suffering within Japan and across the world. What kept me going was the survivors’ courage, distinct personalities, and even their humor as they looked back on their personal histories uniquely shaped by nuclear war. 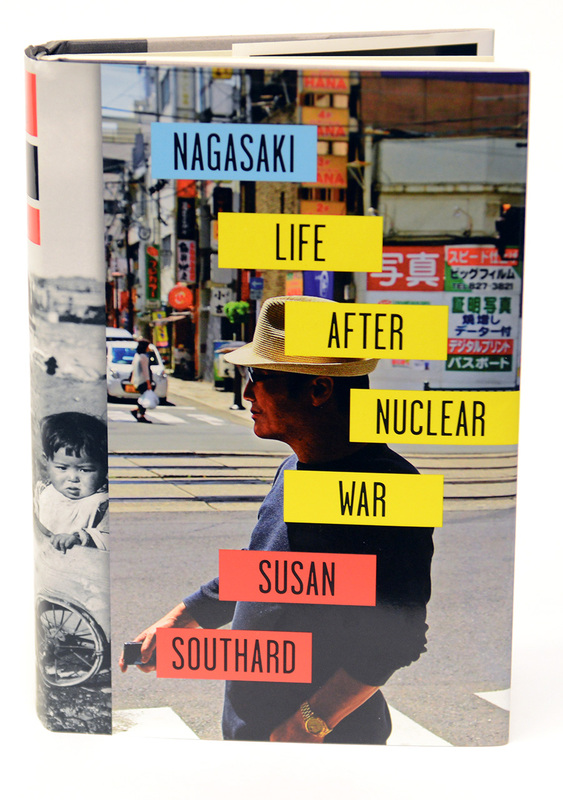 It is my hope that readers, too, will come to know these hibakusha as I did, and that Nagasaki will unveil its neglected stories to a larger audience, transforming our generalized perceptions of nuclear war into visceral human experience. 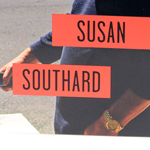 Susan Southard ’78 holds an MFA in creative writing from Antioch University, Los Angeles, and was a nonfiction fellow at the Norman Mailer Center in Provincetown, Mass. She lives in Tempe, Arizona, and is the founder and artistic director of Essential Theatre.